Archaeologists have discovered the remains of at least two bodies in a Bronze Age burial cist in a remote area of the west Highlands. They were previously aware of one body in the ancient grave on the Ardnamurchan peninsula but they have now found more bones than could belong to another person. A skull found during an earlier archaeological dig at Swordle in 2010 was dated as being from around 1700BC. And the bones discovered during the Ardnamurchan Transition Project team’s visit to the area this summer have now been sent away for radiocarbon dating. 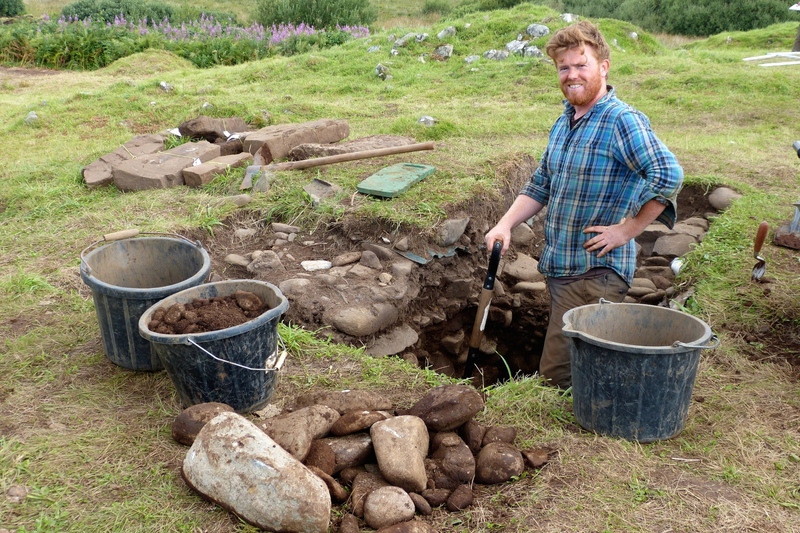 Team leader Ollie Harris, who is a lecturer in archaeology at the University of Leicester, described the latest discoveries as both “interesting” and “exciting”. He said: “In the majority of Bronze Age cists, we would expect to find one person buried in a crouching position on their side, but examining the remains in this cist strongly suggests the presence of two or more people. He added that they also found another jet bead in the grave. Three were found in 2010 and they are believed to be part of a necklace. They also unearthed a flint scraper, which they believe to have been used for removing fat from hides, and small pieces of flint debitage, which is the waste material produced in the making of early stone tools. The cist was found under a pile of rocks known as Ricky’s Cairn. While at Swordle this year, the team also excavated the Neolithic tomb of Cladh Andreis, a 200ft long mound of rocks leading from the tomb, which they describe as the tail of the monument, and a small Bronze Age cist cut into the side of the tail. Mr Harris said the small Bronze Age cist had been a new find this year. He added that they had previously worked on Cladh Andreis, which was built around 3,700BC, from 2006 to 2010. “This year we found bits of teeth, human remains from various bodies and a leaf-shaped arrowhead,” said the archaeologist.